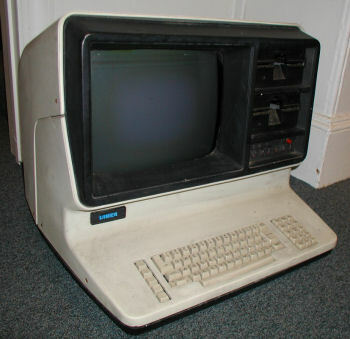 The University of Delaware received a Lanier Model 103 Word Processor / Computer as a donation. As you can see it's in pretty bad shape, but it may be at least partially restorable. I have not done much with it, other than open it up for a visual inspection. There's an 8080 processor on the disk drive control board. This system is owned by the University of Delaware, it's not mine to trade. Since the original post the system was cleaned up, but it's not fully restored. Thanks for the info. 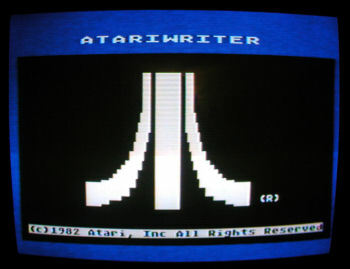 This old system uses hard sector floppies in AES Data Format. 16 plus sector disk. port card. (The usefullness as is is not great. An older working IBM Pentium 60 running ADSL. Shipping will be costfull bougth ways. This unit needs a lot of hard to locate parts to bring back up th run.